There is more to Las Vegas than city lights, shows, and late nights. This grand city is home to many self-published authors. Drawing from the inspiration of the glamour of Vegas, and the extreme landscape and expansiveness of the desert, there are bound to be tales worth telling. Peanut Butter publishing or Classic Day publishing ensures these creative minds see their work published so they too can have a spotlight of their own. The Las Vegas metro stretches beyond The Strip and authors everywhere dream of seeing their manuscript become a published book, and we can make that happen. This is Barry’s s econd book he’s self-publishing with Peanut Butter publishing or Classic Day publishing. His first, The Struggle Is Real, was very successful and reached many parents who had questions on raising their sons. 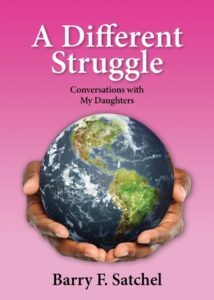 A Different Struggle is based on Barry’s experience raising his two daughters. He says, “I have skied down mountains out of control at life’s edge, and stuck my feet in the ocean while touching the lands ledge. I have been to war twice and returned unscathed, I’ve survived earthquakes, typhoons, blizzards, tornados, and floods, but nothing I’ve endured has prepared me for, or scared me more, than being a parent.” Barry knows he’s not the only one to feel this way, so he self-published to share his insights with the world. 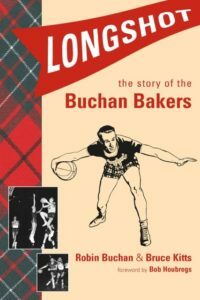 Battling overw helming odds to become champions of amateur basketball, the Buchan Bakers won the historical National Amateur Athletic Union Championship in 1956 that placed them among the sport’s elite. Robin Buchan and Bruce Kitts spin the spellbinding story of this incredible team—the world they survived in—and the family, and an underdog’s unquenchable fire to succeed. This was definitely a story worth telling, and with fear that it would be missed, Peanut Butter publishing or Classic Day publishing was happy to be sure it made it to print. Food does n’t exist just to keep us alive—it is there for us to enjoy. 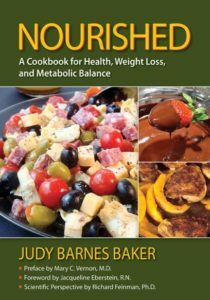 Judy’s book is to show readers that you can enjoy food while living a healthy lifestyle. Cooking can be intimidating for some, but Judy takes the confusing nature out of the equation. She provides a guide for readers to cook well, easily, and build a balanced diet. – Mary C. Vernon, M.D. Pean ut Butter publishing or Classic Day publishing always emphasizes that it’s important for authors to share their stories. A book is not just for readers, it’s for the authors to enjoy seeing their story come to life and give to others. Although she has lost three sons and suffered abuse from two of her husbands, Ina Sovereign has not only survived but thrived, with the Lord’s help. 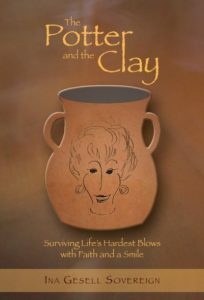 In this book, she chronicles her physical and emotional journey “to the ends of the earth.” Her travels included moves from Alaska to the South Pacific and back to Alaska, and she vividly describes the beauty of and contrasts between her far-flung homes, as well as the challenges she and her family faced over the years. Self-publi shing is always a smart route for authors that are trying to spread their message. Since Peanut Butter publishing or Classic Day publishing caters to authors who want their book to be as they like, it’s the perfect avenue to make sure their voices are heard. David E. Thomas was raised by strong Christian parents. He is an Air Force veteran and served proudly as a decorated Navy Seabee for Operation Enduring Freedom in Iraq. David serves as a motivational speaker for youth-at-risk. He wants to help the people in the community and guide them to understanding that everyone deserves a fighting chance in the world. 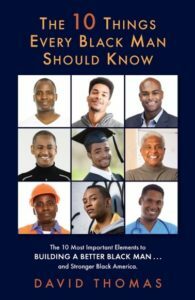 His book encourages a stronger Black America and addresses difficult questions that others may be nervous to tackle.